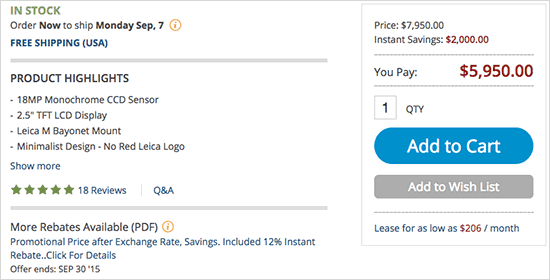 The Leica M Monochrom camera is now $2,000 off - a bigger saving than the previously available 12% discount (currently available at B&H, Adorama and Amazon). This Monochrom model is already out of stock at many retailers and I believe this is the last clearance sale before this model will be discontinued. 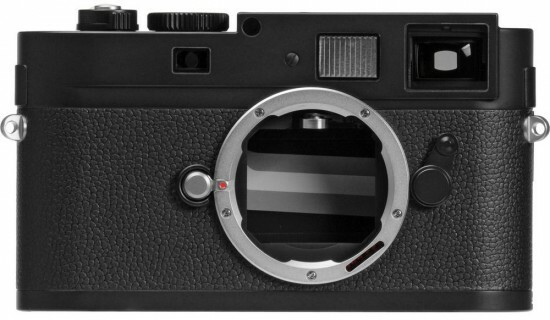 Leica announced a new Leica M Monochrom (Typ 246) model in April, 2015. Update: this discount is only for the black Monochrom, the silver version is still at 12% off. This entry was posted in Deals, Leica M Monochrom. Bookmark the permalink. Trackbacks are closed, but you can post a comment.